My hotel is next to the Vondelpark, one of the best running spots in Amsterdam, so I had to run there this morning. Decided to do three loops, which would amount to about 10km of running. Leaving the hotel, I switched on the Garmin Forerunner 220, didn’t wait for the GPS fix but started the run immediately. Normally this works. You get a zig-zag course for the first few minutes, but then it’s OK. This time it didn’t work. I didn’t know during the run because the Garmin normally showed heart rate, pace, total time and total distance. But when I arrived and synced, looking forward to see how I ranked on Strava on the multiple Strava segments that must be prepared in that park, nothing. I tried TCXConverter and a few other tools to read the FIT file directly from the device, but nothing. 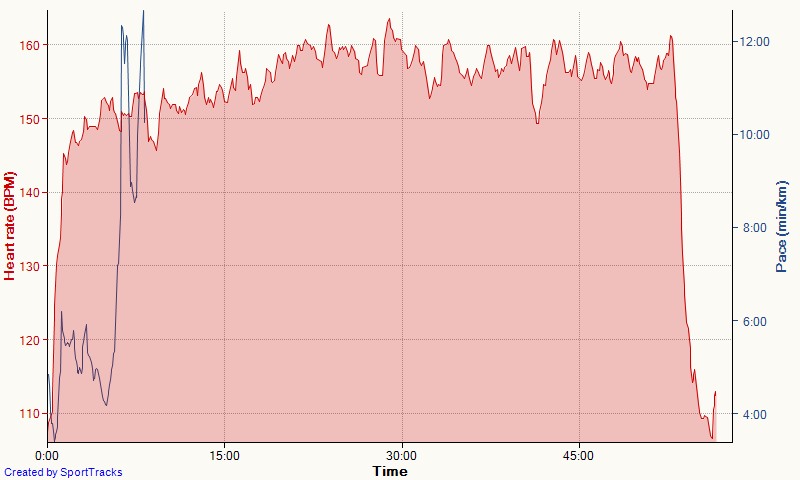 Looking at a CSV export, it seems that the Garmin managed to get the fix only after 7.8km of running. So tomorrow I will have to spend some time at the park entrance to wait for the GPS fix.